2008 Vans Warped Tour, 48 cities U.S.
2007 Vans Warped Tour, 48 cities U.S.
2003 Winners of Live at Apollo Theater talent show. The crew won a regional in Seattle, and was flown to New York for the finals in the famed Harlem, New York venue. 2006 Rogers Wireless Convention in Vancouver, B.C. 2005 Invited performer for NBA All-Star Weekend representing the Seattle Supersonics “Boom Squad” after several performances during timeouts in Key Arena (Seattle, WA) that brought crowds of thousands to their feet. The crew performed throughout the week in various capacities at the 20,000 capacity Pepsi Center in Denver, namely at intermissions during the dunk contest and half time of the All-Star game. 2004 Winner of BBoy World Championship 4-on-4 (Wembley Arena, London U.K. ) Hosted by LL Cool J, the event later became a 12-part television series produced by the Just Fabulous Group that aired to an estimated audience of 200-million people worldwide. 2004 Finalist at the Play Station 2 UK Bboy Championship in an Olympic-style format, featuring one invited crew from each of eight countries. 2004 Winner Prince’s Trust Urban Music Festival, an event thrown by the Prince of Wales for the children affected by the streets. Jay-Z and Alicia Keys headlined the event. 2009 – Current: Massive Break Challenge annual event supports over 70 youth from nearly 20 schools around Washington state to compete in mini-battles, leading up to the ultimate championship at the Bagley Wright Theater during the Folklife Festival. Hundreds of people show up every year to witness the B-Boy and B-Girl break dancing students participate in this high-energy competition as they build community and challenge each other’s skills in front of a live audience. Both the mini-battles and the main event are free of charge for performers and audience members. 2013-Current MiniBREAKS the only Breakin’ class for children ages 2-6 in the Pacific Northwest! Students learn cool, authentic breakin’ moves, are acknowledged/praised for doing their best, participate at their own comfort level, and HAVE FUN! 2004-Current Massive Monkees Day Annual Event, Massive Monkees Day is an annual celebration that brings together over 1,000 dancers from across the world to compete in Seattle. 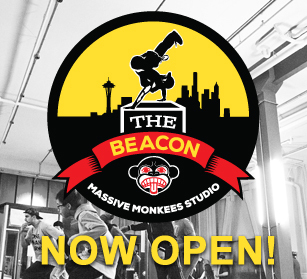 The event celebrates the recognition of “Massive Monkees Day of Seattle” granted by the Seattle Mayor’s Office in 2004 and again 2013 for our sustained impact to the community and our competitive accomplishments around the world. 2009 Massive Relief A charity event benefiting victims of the Typhoons and Flooding that devastated the Philippines in 2009. 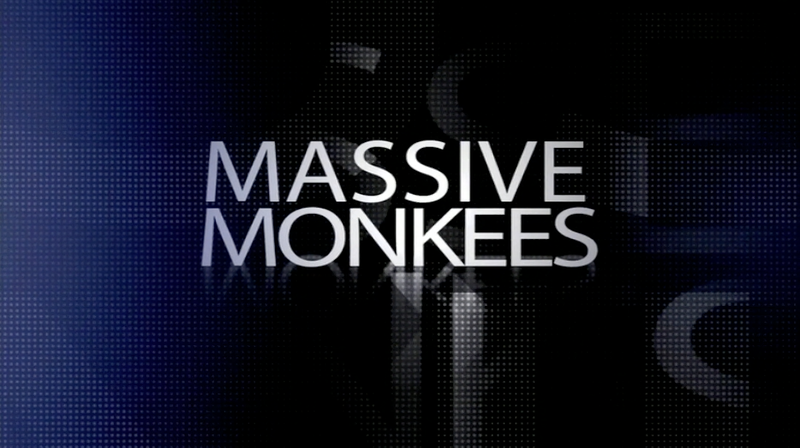 The event featured performances by Massive Monkees, Blue Scholars and other Seattle based artists. 2004 BBoy World Championship (Wembley Arena, London U.K. ) Hosted by LL Cool J, the event later became a 12-part television series produced by the Just Fabulous Group that aired to an estimated audience of 200-million people worldwide.